In 2017, there were 38 reported human infections of WNV and 4 WNV-related deaths reported in Orange County. Most people who become infected with WNV do not experience symptoms, but about 20% will develop fever and may have headache, body aches, nausea, tiredness and sometimes a skin rash. More serious symptoms, such as severe headaches, neck stiffness, confusion, muscle weakness or paralysis, occur more rarely, but people who develop these symptoms should seek medical care immediately. People over 50 years of age and those with certain medical conditions are at increased risk of serious complications from WNV infection. 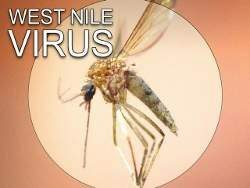 “West Nile Virus is endemic in Orange County, recurring every year during the summer months and continuing into the fall,” said Dr. Eric Handler, County Health Officer. “The best way to avoid West Nile Virus infection is to take precautionary measures to avoid mosquito bites. Information on mosquito control is available on the Orange County Mosquito and Vector Control District’s website at www.ocvector.org.